The following are terms of a legal agreement between you and McGard LLC (“McGard”). By accessing, browsing and/or using this web site, you acknowledge that you have read, understood, and agree to be bound by these terms and to comply with all applicable laws and regulations. If you do not agree to these terms, do not use this web site. This Web site may contain other proprietary notices and copyright information, the terms of which must be observed and followed. Information may be changed or updated without notice. McGard may also make improvements and/or changes in the products and/or the programs described in this information at any time without notice. McGard assumes no responsibility regarding the accuracy of the information that is provided by McGard and use of such information is at the recipient’s own risk. By furnishing information, McGard does not grant any licenses to any copyrights, patents, trademarks or any other intellectual property rights. Information McGard publishes on the World Wide Web may contain references or cross references to McGard products, programs and services that are not announced or available in your country. Such references do not imply that McGard intends to announce such products, programs or services in your country. Consult your local McGard business contact for information regarding the products, programs and services which may be available to you. McGard makes no representations whatsoever about any other Web site which you may access through this site. When you access a non-McGard Web site, it is independent from McGard, and McGard has no control over the content on that Web site. A link to a non-McGard Web site does not mean that McGard endorses or accepts any responsibility for the content, or the use, of such Web site. It is up to you to take precautions to ensure that whatever you select for your use is free of such items as viruses, worms, trojan horses and other items of a destructive nature. IN NO EVENT WILL McGARD BE LIABLE TO ANY PARTY FOR ANY DIRECT, INDIRECT, SPECIAL OR OTHER CONSEQUENTIAL DAMAGES FOR ANY USE OF THIS WEB SITE OR ANY OTHER HYPER LINKED WEB SITE, INCLUDING, WITHOUT LIMITATION, ANY LOST PROFITS, BUSINESS INTERRUPTION, LOSS OF PROGRAMS OR OTHER DATA, OR OTHERWISE, EVEN IF WE ARE EXPRESSLY ADVISED OF THE POSSIBILITY OF SUCH DAMAGES. ALL INFORMATION IS PROVIDED BY McGARD ON AN “AS IS” BASIS. McGARD PROVIDES NO REPRESENTATIONS AND WARRANTIES, EXPRESS OR IMPLIED, INCLUDING THE IMPLIED WARRANTIES OF FITNESS FOR A PARTICULAR PURPOSE, MERCHANTABILITY AND NONINFRINGEMENT. McGard may at any time revise these terms by updating this posting. By using this web site, you agree to be bound by any such revisions. You should periodically visit this page to determine the then-current terms to which you are bound. Your privacy is important to McGard. This statement discloses the information practices for McGard Web site, including what type of information is gathered and tracked, how the information is used, and with whom the information is shared. At McGard, we are committed to protecting your privacy online. Our pledge is to safeguard any information we collect associated with you and your name, and we will make every reasonable effort to use this information only as you request. In general, you can visit McGard on the Internet without telling us who you are and without giving any personal information about yourself. There are times, however, when we or our partners may need information from you. When you submit a question or comment we ask for your email address, name and country of residence. This allows us to route your message to the appropriate support staff to provide you a reply. You may choose to give us other personal information in a variety of situations. For example, you may want to give us information, such as your name and address or e-mail, to correspond with you. We intend to let you know how we will use such information before we collect it from you; if you tell us that you do not want us to use this information to make further contact with you beyond fulfilling your requests, we will respect your wishes. This Web site may contain links to other Web sites. McGard is not responsible for the privacy practices or the content of those other Web sites. Our site is not configured to track, collect or distribute personal information about you. We cannot, for instance, determine your email address by examining electronic records. We use the electronic records to compile statistics about how our visitors collectively interact with our Web site. The data is used to analyze trends and to help us provide better customer service. These statistics contain no personal information and are only used by McGard technical support staff. Only authorized McGard employees have access to stored information. We safeguard information according to established security standards and procedures, and we continually assess new technology for protecting information. Our employees are trained to understand and comply with these information principles. If we do collect personal information with your knowledge and consent, McGard will not sell, trade, or rent your personal information to others. Except as otherwise set forth below, the graphics, text, information, and other content appearing on this web site (hereafter “Content”) belong to McGard LLC (“McGard”) of Orchard Park, New York USA. The Content of this web site is provided for your personal informational use and you may copy it for that purpose only, but not for any commercial or other use. You may not modify any graphics, text, or other Content available on this web site or distribute any of it to anyone. Except for certain photographs, all current and prior catalog images and text shown on mcgard.com are the sole property of McGard LLC, 3875 California Road, Orchard Park, NY 14127 U.S.A.
McGARD®, TOUGH NUTS®, SPLINEDRIVE®, SIDEWINDER® and THE INTIMIDATOR® marks shown on this web site are registered trademarks of McGard LLC. Trade names, trademarks, and service marks of third parties are owned by those third parties. References to any products, programs, services, or other Content offered by third parties under their trade names, trademarks, or service marks does not constitute any endorsement or sponsorship thereof by McGard. ©2001 McGard LLC. All rights reserved. We are taking steps to develop and implement a policy prohibiting use of tantalum, tin, gold, tungsten, or their derivatives, whose extraction or trade supports conflict in the Democratic Republic of Congo or adjoining countries, and/or contributes to inhuman treatment, including human trafficking, slavery, forced labor, child labor, torture and war crimes in the region. Our efforts are not intended at altogether banning procurement of minerals from the DRC and adjoining countries, but to assure sourcing from responsible sources in the region. We ask our suppliers to cooperate with us in our efforts to assure procurement of non-conflict minerals. The California Transparency in Supply Chains Act of 2010 requires certain manufacturers and retail sellers to provide disclosures with respect to efforts to eradicate slavery and human trafficking in supply chains. This statement is our disclosure. McGard, LLC (“McGard”) believes that all workers, including those workers in our supply chain, should experience safe, fair, and non-discriminatory working conditions. McGard endorses these principles and is pleased to support suppliers that share them. In furtherance of these principles, our team continually strives to develop outstanding, long-term relationships with reputable suppliers. We do not, nor do we engage a third party to, verify that our product supply chain addresses risk of human trafficking and slavery. We do not, nor do we engage a third party to, audit our suppliers to evaluate their standards for human trafficking and slavery. 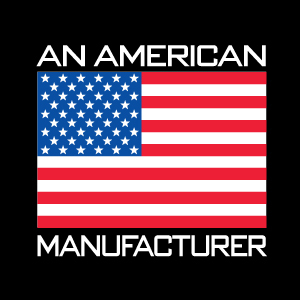 As a manufacturer headquartered in the United States, McGard actively supports and complies with all applicable laws, rules and regulations with respect to working hours, conditions, and wages, and supports suppliers that do the same. We do not currently require our direct suppliers to certify that materials incorporated into our products comply with the laws regarding slavery and human trafficking of the country or countries in which they are doing business. McGard actively trains its employees and management on issues that are important to both its business and to the communities within which we operate. We do not have explicit internal accountability standards and procedures for employees or contractors failing to meet company standards regarding slavery and trafficking, nor do we provide employees and management with training on human trafficking and slavery or the mitigation of such risks in our supply chain. California’s Proposition 65 entitles California consumers to special warnings for certain products that contain chemicals above certain threshold levels. McGard products and packaging comply with US Federal and State product packaging requirements except for the state of California. For the state of California, we are required to label with a Proposition 65 warning.